The coffee colored Café menu-signage menuboard is an addictive one for anybody. Even the non lovers of coffee will fall in love with this menuboard and start having coffee. It is filled with the flavor of coffee in every nook and corner. 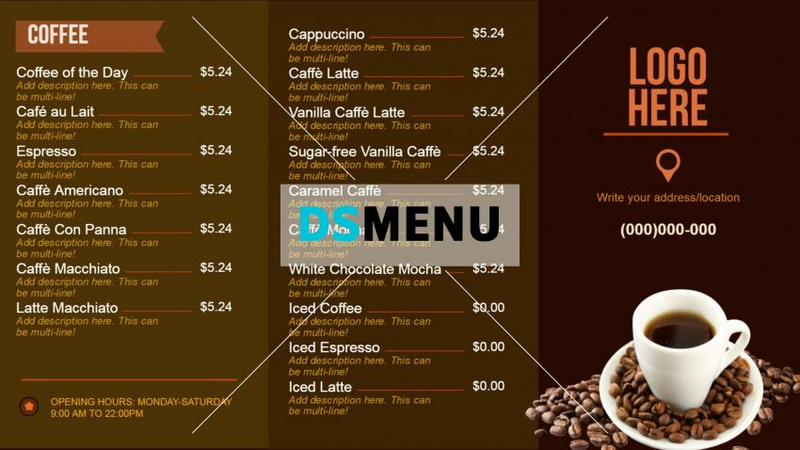 Clean and simple in appearance and addictive in feel, the online menuboard template is available for free form DSMenu which can be edited and used for effective display of the varied types of coffee at the parlor.